If you are like most people you have very little time to cook you and your family healthy dinners. Well the times of turning to the fast food drive thru are over! Welcome SHEET PAN DINNERS! One pan with everything on it, one cook time, set it and forget it cooking, and clean-up like a breeze! These dinners are a miracle! One of my favourite one pan dinners is lemon, garlic salmon and veggies! 2. Wash and cut your veggies of choice, asparagus. Ensure if you are using a root vegetable, such as sweet potatoes, that you slice them very thin so they cook the same time as everything else on the pan. 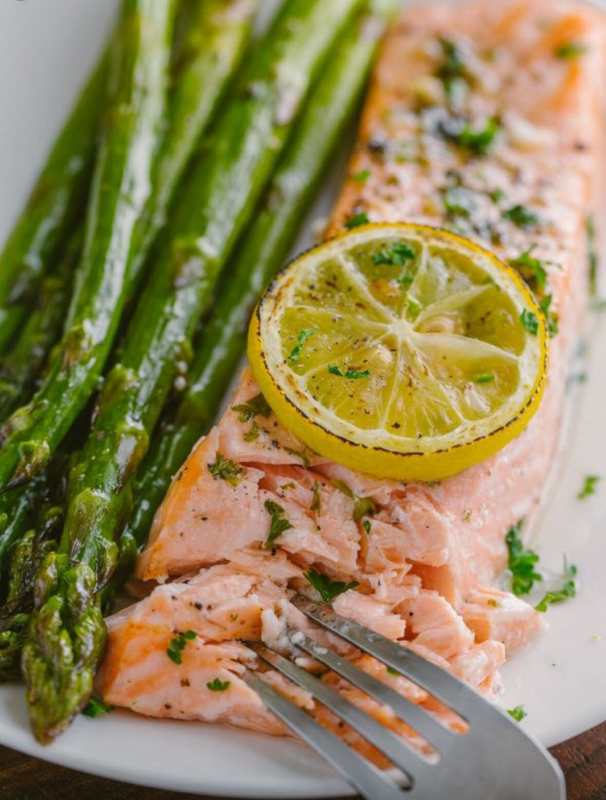 If you do not have fresh lemon slices, sprinkle salmon fillets with some lemon juice instead. 6. Place entire pan in the oven and forget it for 20 minutes! 7. After 20 minutes, check the salmon for doneness. If it flakes easily with a fork and is no longer opaque, it is finished. At this point the veggies should be done as well. If you are using root veggies and they are not yet tender, you can return them to the oven for an extra 5-10 minutes until fork tender. If you like this recipe it can be used with SO many different varieties of proteins, veggies and spices! Try it with chicken, steak or trout. Bell peppers, asparagus, carrots, broccoli. Maple Garlic, teriyaki, lime chili. The possibilities are endless, delicious and easy! Snap a picture of your version and tell us how it went! We would like to congratulate SST Oakville’s Mathew Radivojsa, who has signed with the Division 1- English Premier team, West Bromwich Albion. Matthew has been training with SST since he was 9 years old and all his hard work and dedication has paid off! We are so proud and excited for Matthews accomplishment and his next step in his athletic career. BIG News at SST Oakville! 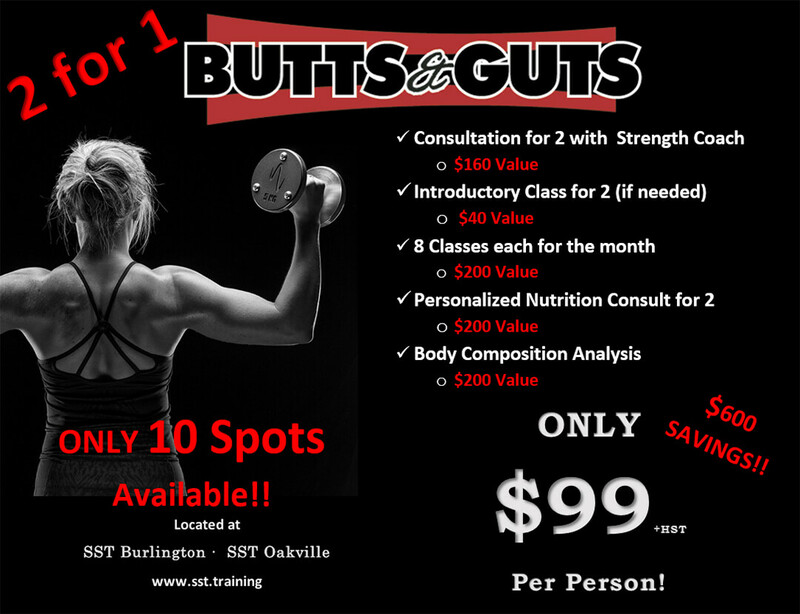 Some BIG News out of SST Oakville! We would like to welcome coach TJ to our SST Family. 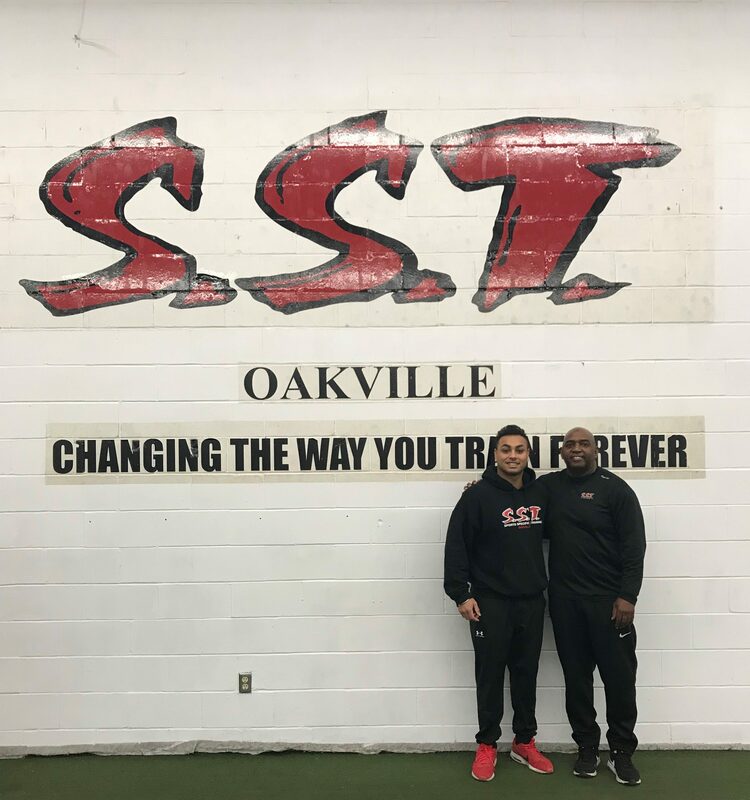 Coach TJ will be partnering with veteran coach Delory Rhooms at SST Oakville. TJ comes to SST with a wealth of strength & conditioning knowledge. TJ started training with SST at the age of 14 years, which helped him gain a baseball scholarship to Central Missouri University. From there he was asked to Spring Training in the MLB with the Arizona Diamondbacks, which eventually landed him in the Frontier Pro Baseball League. TJ and Delory are committed and will be working hard to provide the level of training which has set SST apart for many years. Welcome to the family TJ! One of the easiest way to keep you motivated on your way to your goals is to track your progress. 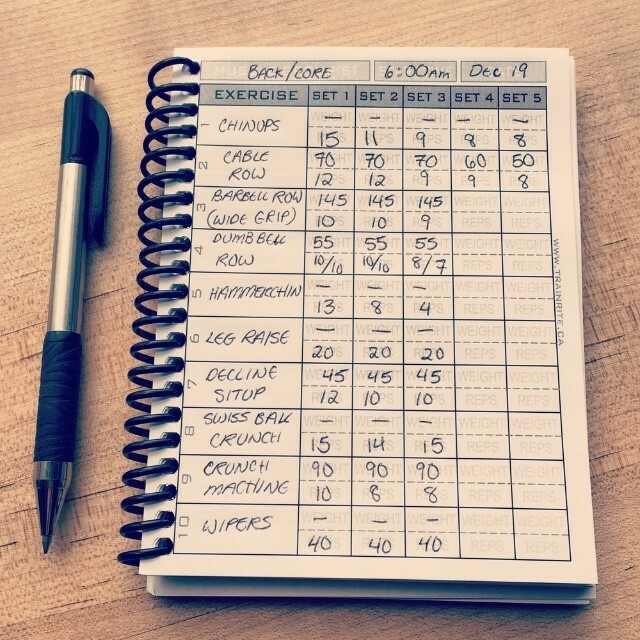 Track your workouts and weights you used, track your weight and body composition, track your nutrition. When you’re in the thick of it you do not always see the progress you’re making, however, if you keep track of what you are doing day to day and look back in a couple months you will be surprised at how much has changed! A great way to keep yourself motivated towards your goals is to celebrate the smaller victories along the way. Lost 5lbs?! Treat yourself to a new workout outfit! Added 10lbs to your squat, go for a massage (your sore muscles will thank you!). When you celebrate the steeping stones you will be more likely to want to keep pushing for the next one, making your ultimate resolution easy to maintain. When you celebrate your progress, make sure to avoid doing so with food! Using food to reward your fitness or dietary progress is undermining your ultimate goals and may reinforce an unhealthy relationship with food. Instead celebrate with self-care (massage, pedicure, a bath), treating yourself to something you normally would not (a new outfit, a new book), or a trip or activity you have wanted to do. As you progress, you should check back on the goals you wrote down from time to time. This will allow you to tweak your goals if needed. For example, if your goal was to lose 10lbs by the end of March and on February 5th you have already lost 8lbs, you should try making your goal more difficult! You can also look to add more detail to your goal, instead of just squatting 135lbs, how many reps do you want to do? In order to make your resolutions sustained behavioral changes you must be able to self-reflect and be flexible. You are human, you are going to make mistakes and the world will not end! Going to a birthday party and eating some cake or missing a few days in a row at the gym should not be enough to derail all your hard work. DO NOT GIVE UP THAT EASILY! Allow yourself some freedoms and guilty pleasures now and then, not only will this allow yourself some sanity but it will also make big setback less likely to occur. For example, if you LOVE chocolate do not deny yourself chocolate altogether, switch to dark chocolate and allow yourself a couple pieces on Sunday evenings as you prepare for your week. Allowing yourself this small treat once a week will make you less likely to gorge yourself on the plethora of chocolates around on Valentine’s Day. With the help of these tips you will be well on your way to your goals for 2018! Let make this year your best year yet. If you need some extra help sticking to your resolution, enlist the help of our SST coaches and our incredible Adult fitness programs. We have a program for every fitness level and every goal! Check out our incredible 2 for 1 deal we have going on in February! So the first month of 2018 has come and gone; how are those New Year Resolutions treating you? If you’re like the majority of people, when the New Year comes along you start making resolutions. Promises to save more money, keep in touch with friends and one of the most popular, get in better shape! Well, the resolution part is easy but sticking to your goal, that is the hard part! According to some research, upwards of 92% of New Year resolutions do not succeed!! With the odds stacked against us, the easy thing would be to join the masses and just give up, but my resolution was to make sure YOU stick to your resulution. So, I put together my top 10 tips to help you stick to those resolutions and be a part of that illustrious 8%! IT’S NOT TOO LATE! Haven’t been to the gym in a couple years? That’s okay, but your resolution probably shouldn’t be to start going to the gym 7 days a week. Not only is that a really daunting task (even for someone who goes to the gym regularly!) but it sets you up for failure. What happens when you miss one day? It makes it easier to talk yourself out of the next, and the next, and next thing you know your resolution is down the drain! Vagueness is the enemy when it comes to goal setting. If you don’t know exactly what you’re working towards how will you know when you’ve attained it? Are making statements like this scary? Yes. Is there a chance you may not meet this goal? Yes. However, giving yourself something specific to work towards will make it more likely for you to stick to your goals. Making a silent promise to yourself will not cut it, tell the world! 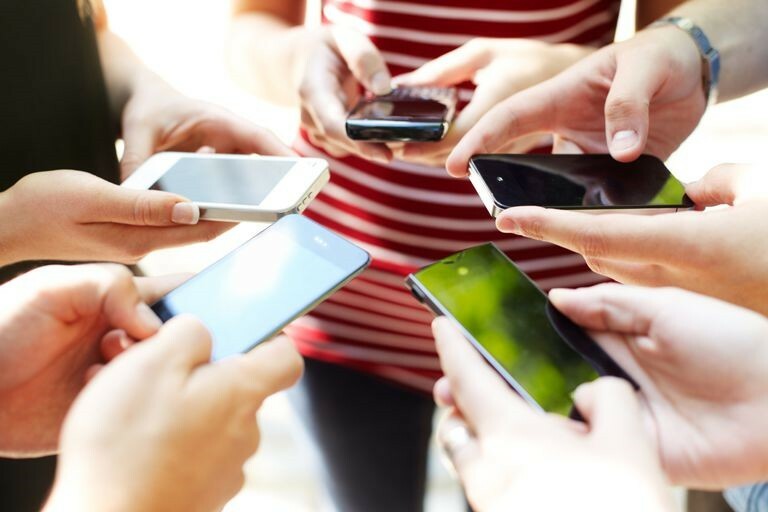 Tell your partner, your friends, make a statement on social media; making your goal public gives you accountability. Yes, telling people about your goals may make you feel vulnerable but it will also push you to stick to your goals. Having a gym buddy will make you, and your friend, more likely to stick to your plan. If you know you are meeting someone at the gym you are less likely to skip going and if you want to cancel you have someone asking you why. Accountability is key! Can’t find someone who wants to go to the gym with you or your friend lives far away? Have a friend check in with you and ask how things are going periodically. Having someone to answer to increases the likelihood that you will stick with it. In order to stick to your resolution you need a plan. If you have no idea what you are going to do to achieve your goal then how are you going to get there?! Take some time each week to plan out your upcoming week. Pick the days and times you are going to go to the gym, plan your meals for the week, make a shopping list, prep your meals, put together healthy on-the-go snacks. It may sound like a lot, but taking an hour or two once a week will make it SO much easier to stick to your goals as your busy week gets rolling. You are less likely to make a quick stop at the drive-thru when you know you have dinner prepped in the fridge or you have healthy snacks stored in your car. Having a shopping list at the grocery store will make you less likely to throw the unhealthy foods in the cart. If your gym time is in your schedule, you are more likely to go! Planning gives you direction! If you liked our first 5 tips, check back soon for Part 2! If your resolution need an extra helping hand, check out SST’s incredible Adult Fitness Programs! With supportive coaches, encouraging training partners and an energetic environment; the results you want are not out of reach! Are you Slow? It Could be Your Nutrition! Read Larry’s Tip!! Running (Speed) and jumping (Power) are skills necessary for successful performance in sports, and must therefore be prioritized during training. We have previously covered how to increase your speed and vertical jump through training. However, much like the way you look, nutrition will also impact your ability to run faster and jump higher. An article published in the Journal of Strength & Conditioning Research studied the effects of a 4 week energy restricted diet on sprint & jump performance, body composition, and hormone profiles in elite male track athletes… the results were amazing! For the month of February only- ONLY 399.99! 60% off! Quite a few of you have taken advantage of this savings!